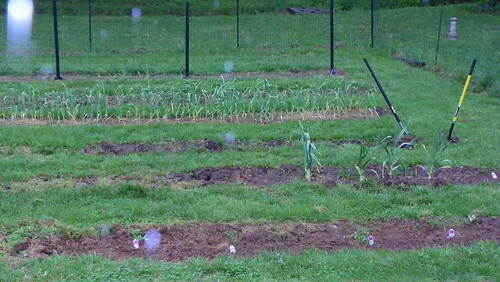 After 2 days of cold rain, flooding in the garden has threatened to drown the new peas, lettuce, zephyr squash and newly planted tomatoes. The garlic aren’t supposed to have poor drainage either, not ever. I took a couple of hours this morning to dig trenches to drain the water. When I laid the rows out this way we were in a drought cycle and I was focused on holding rain in the rows by leaving the grass in between the rows. Now I have had to drain off the lake that each row became. What a mess! As I worked the trench filled up immediately and water rushed to the back of the garden. Here the rush of water is down by half of what it was. 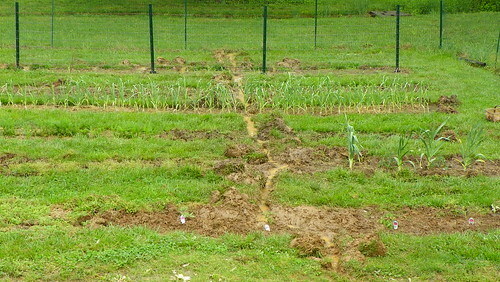 And even now, hours later there is still water running through the trench. 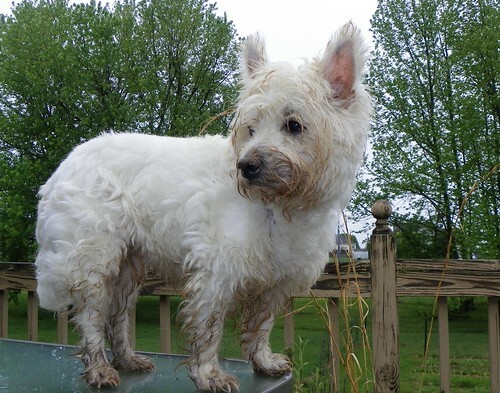 Westies are bred to “go to ground” after varmints and love digging in the dirt. No lie. 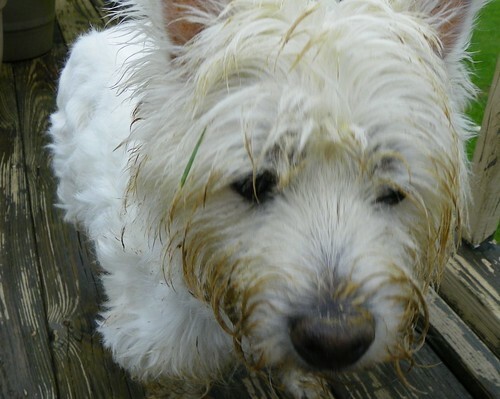 This Westie loves water, too. Bath time! 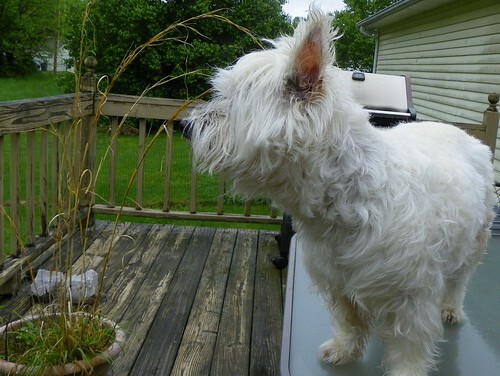 And The Dog don’t pose neither. She’s so helpful! If I could just teach her to run the vacuum. 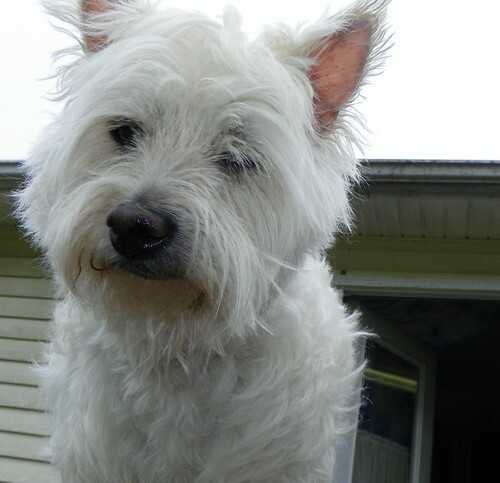 Posted in Dogs, Gardening, Westies and tagged Gardening. Bookmark the permalink. Sorry about all the rain. re: Gaely LOL!